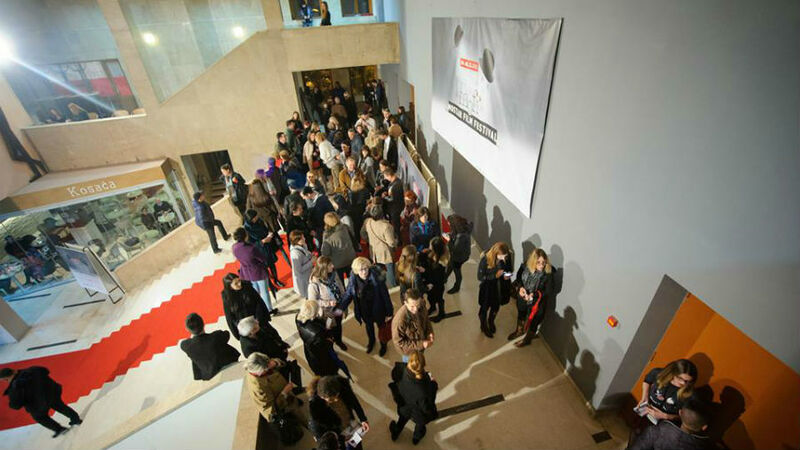 The third night of MOFF was reserved for Macedonian and BH Oscar candidates “Liberation of Skopje” by Danilo Šerbedžija and “Death in Sarajevo” by Danis Tanović. Screenings took place at the Croatian House of herceg Stjepan Kosača. Documentary film „Lauš“, about artist Žarko Laušević, directed by Branka Bašević Gajić was screened in program Docu spectre. Students’ program contained three short films and young ones were entertained by “The Ghost in the Swamp“, directed by Branko Ištvančić. In „Movie Discussions“ we hosted crews of films “The Train Driver’s Diary“, director Miloš Radović and young protagonist Petar Korać, and “Liberation of Skopje“, director Danilo Šerbedžija and actress Silvija Stojanovska. For the third night of MOFF in official Festival’s Golden Pub Sarajevo’s band „Zabranjeno pušenje“ (No smoking) lighted the atmosphere for the fans and it was a good overture for Sunday’s screening of documentary „No Smoking in Sarajevo“ about the band.